Edinburgh-based Ingenza, a leader in the application of industrial biotechnology and synthetic biology, is pleased to announce that it has become a stakeholder in Amprologix, a spin-out company from the University of Plymouth. Launched in collaboration with Frontier IP – a specialist in commercialising university intellectual property and a stakeholder in the new company – Amprologix aims to develop and bring to market novel antimicrobials to tackle antibiotic resistance, a global threat to human health. Amprologix will develop and commercialise the work of Professor Mathew Upton, Chief Scientific Officer at the company and part of the University of Plymouth School of Biomedical Sciences. The initial focus will be on epidermicins, a new class of antibiotics capable of rapidly killing harmful bacteria, including methicillin-resistant Staphylococcus aureus (MRSA), Streptoccus and Enterococcus at very low doses, even when there is demonstrated resistance to other antibiotics. Epidermicin NI01, the lead product, was originally recovered from the skin bacterium Staphylococcus epidermis. 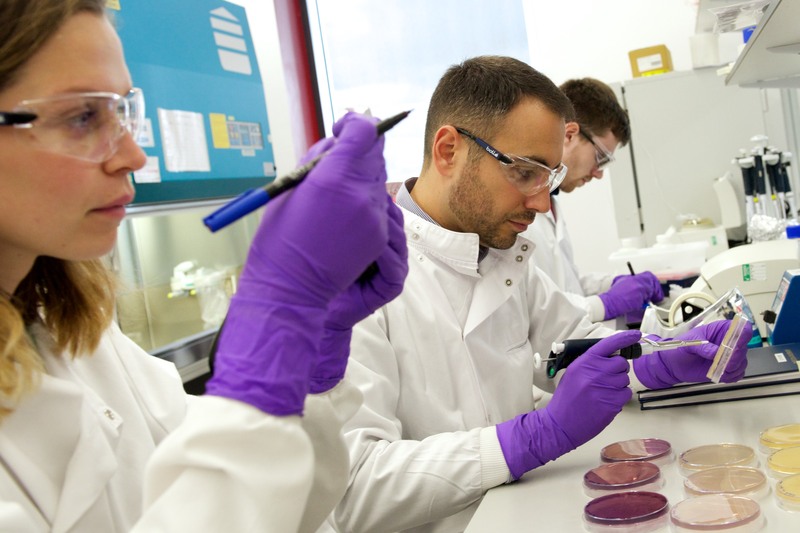 Using patented technology developed by Professor Upton during his time at the University of Manchester’s UMI3 – also a stakeholder in Amprologix – epidermicin can now be produced in a GMP compliant microbe, suitable for industrial scale-up using synthetic biology methods developed by Ingenza. Amprologix and Ingenza are currently employing machine learning to evolve next generation epidermicins with adapted target profiles and further enhanced potency.